Blackadder Series 1 is very different from the others. This series was written by Rowan Atkinson and Richard Curtis, and was first broadcast way back in 1983. The main difference between this and the other series, is that the character of Blackadder is very different. In Blackadder Series 1, Blackadder is depicted more as a snivelling and weak buffoon, as opposed to the more selfish, manipulative and conniving character he became in the later series. Baldrick on the other hand, is more intelligent and genuinely cunning. In a way, it is like their roles are reversed. Whilst Blackadder Series 1 does have some great moments, there is no denying that it is the weak link in the Blackadder chain. 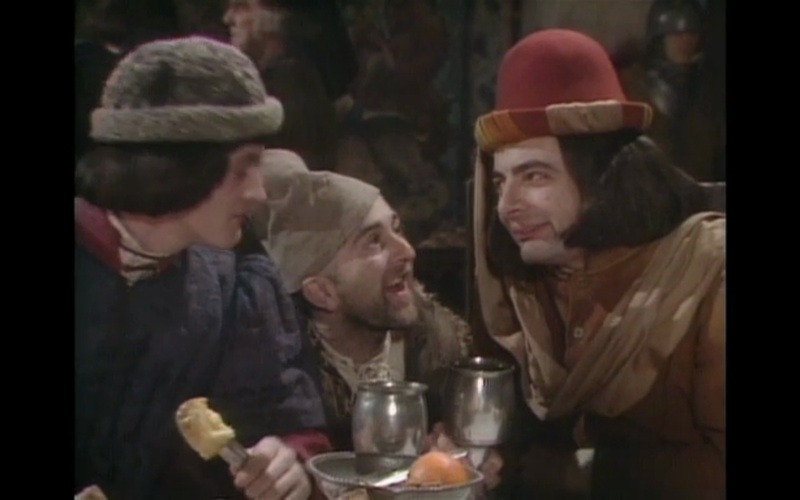 It feels a lot more dated, and at times, the character of Blackadder is quite cringe-worthy. Still, any Blackadder fan worth their salt will have watched this dozens of times, and know it word for word! As we expand upon the Blackadder Quotes site, we will start to include episode descriptions, as well as full episode scripts. These will link from the above, so remember to keep coming back to check out this page!